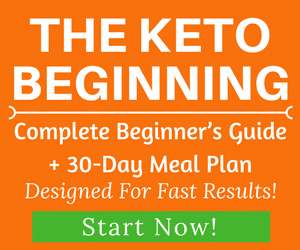 Spinach is truly a star in the keto and any healthy diet world – and there are very good reasons for that. 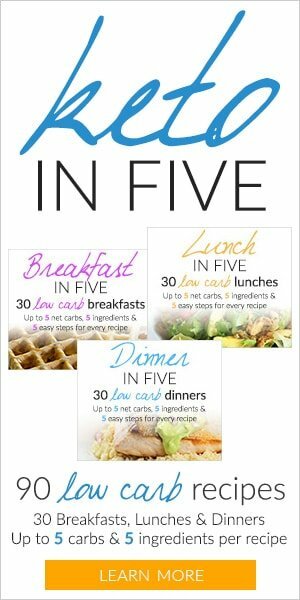 It is super low in net carbs and in calories, and at the same time it’s packed with essential micronutrients, which make it extremely healthy. It’s super versatile, too – you can eat it in salads, soups, smoothies, purees, or simply sautée it and have it as a side dish. It’s widely available across the world year round, although, strictly speaking, in the Northern Hemisphere it’s in season between March and June. If you cannot find fresh spinach, frozen is a very good alternative. Baby spinach is excellent in salads. As you can see, spinach is extremely rich in vitamins and minerals, which is why it’s so healthy. 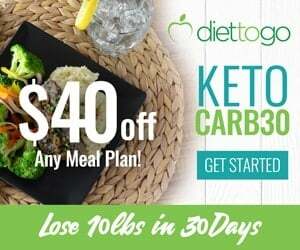 It’s also low in net carb which makes it one of the best low-carb vegetables to eat on keto. 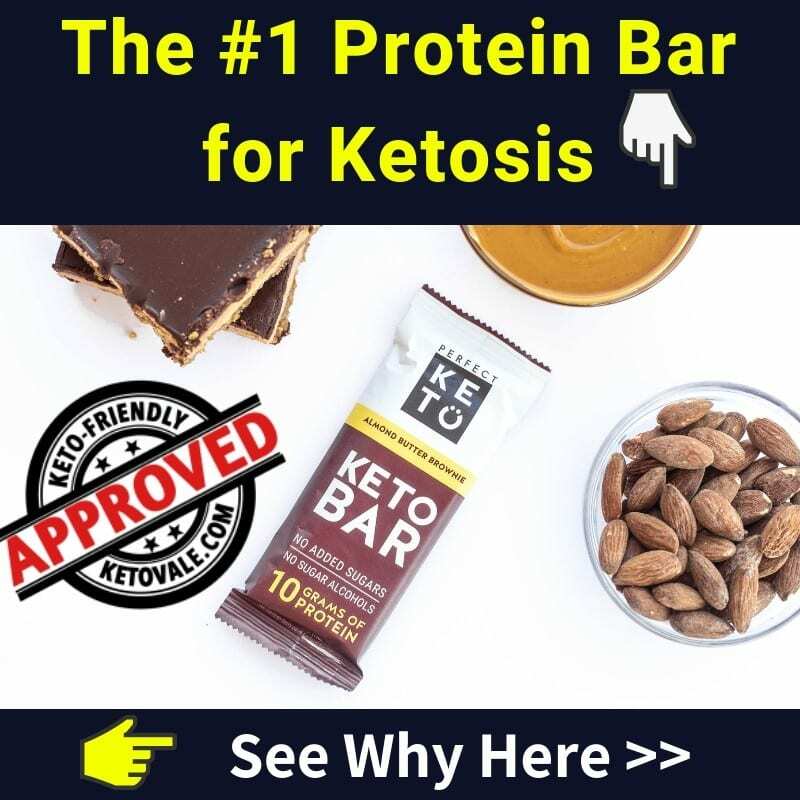 Potassium and magnesium are essential for everyone, but even more so when you’re doing keto – you’re flushing water out of your system at a higher rate, and with it, electrolytes, too. While you can compensate for this by upping your sodium intake and taking magnesium, it’s always preferable to get your potassium needs from potassium rich foods, and spinach is an excellent source of it. A 100 g (3.5 oz) serving of raw spinach contains 558 mg potassium, which is already a good contribution to the recommended 4700 mg daily. Regarding magnesium, spinach is also one of the magnesium rich foods, too – 79 mg for a 100 grams of spinach is not a bad deal at all! Antioxidants help combat oxidative stress (which is hypothesized to be one of the reasons aging occurs, and is a risk factor contributing to heart disease, diabetes and cancer, among others), and spinach is full of them (2). The main types of antioxidants it contains are vitamins K, A and C, carotenoids, and flavonoids, and each play a specific role in helping you maintain good health. At only 23 calories and 1.4 g net carbs per 100 g, spinach is already very keto- and diet-friendly, especially if you need volume to feel full. If that’s the case, you should use raw or lightly sautéed spinach, since it can lose a lot of water in cooking. Frozen spinach is great for adding bulk to soups and smoothies. Besides being low in calories, spinach also has a high thylakoid content, which makes it slow down gastric emptying and regulate some of the hormones responsible for your hunger and satiety signals, such as ghrelin and glucagon-like peptide 1 (3). It appears that spinach has protective properties against gastric ulcers because of its high flavonoid content (4). The flavonoids present in spinach help inhibit the gastric acid naturally present in the stomach, and thus protect the stomach lining. Regular consumption of spinach can lead to a reduced risk of some forms of cancer (5, 6, 7). According to a number of studies, spinach might protect against cancer. 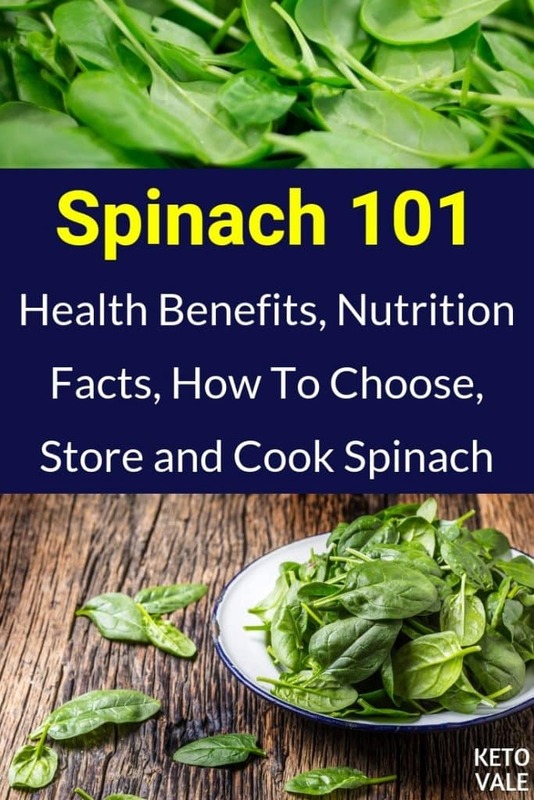 This is because of the abundance of phytonutrients in spinach, among which are neoxanthin, fucoxanthin, violaxanthin and various diacylglycerols (8, 9). A study from 2011 has demonstrated that chlorophylls, which give spinach its vibrant green colour, also play an important role in the suppression of tumour development in rats (10). While these findings cannot be directly translated to conclusion about human nutrition, they do look very promising and might be an important milestone towards designing cancer-protective dietary recommendations. In short – eat your green veggies. Vitamin K plays an important role in blood clotting, and contribute to better heart and bone health. 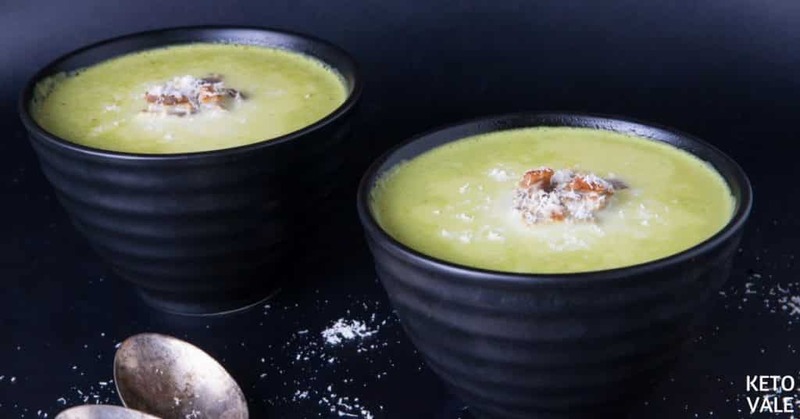 Although spinach contains vitamin K1, which is less bioavailable than vitamin K2, it’s still important to get both types from your diet (the best vitamin K2 sources being natto, which is a Japanese fermented food made of soybeans, along with eggs, fermented cheeses, and dark chicken meat). 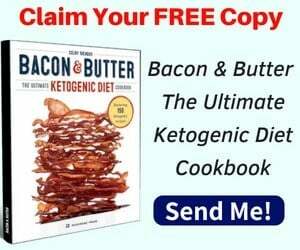 It’s a fat-soluble vitamin, so to improve absorption, spinach should be eaten together with fat – nothing easier than that, when you’re doing keto. Due to its high dietary fiber content (2.2 g per 100 g), spinach will help you have regular bowel movements. Constipation is a common side effect when making significant changes to your diet – such as going keto or low-carb – and adding more fiber to your diet is an excellent way to resolve that problem. Fiber is important for gut health, as some of it is fermented in our intestines, and serves as food for the good gut bacteria. It plays a role in lowering cholesterol and maintaining healthy blood sugar levels, too. Spinach contains a high amount of both lutein and zeaxanthin, two carotenoids, which are eye-protective – in fact, their presence in the diet helps combat macular degeneration, the main cause of age-related blindness and cataracts. Studies have demonstrated that eating spinach at least 3 times a week helps lower your risk of macular degeneration by 43% (11). Pretty impressive for such a simple vegetable, right? Nitrates, when they come from natural sources, can help lower your blood pressure. A study from 2015 on the effect on spinach in particular (as a source of nitrates) concluded that it can be indeed beneficial in regulating high blood pressure in humans (12). On top of that, spinach is rich in potassium, which is an electrolyte essential for everyone, but in people with high blood pressure it helps with lowering it (13). Now that we’ve discussed all the health benefits of spinach, you’re probably eager to add more of it to your diet. How should you choose it and cook it? Let’s see. When buying spinach, pick freshly looking, dark green leaves that show no signs of yellowing or wilting. It’s available year-round in most places, but you can always use frozen spinach, too. You can store unwashed spinach it in the fridge in a loose plastic bag for to 2 to 4 days. Wash it well before using it to remove all dirt and pesticides (washing it 2 or 3 times might be necessary). Spinach can be used both raw and cooked, and baby spinach can be an excellent addition to any salad, as it’s particularly tender and crunchy. You can add raw spinach not only to salads, but also to sandwiches, smoothies and soups (in soups it will get soft because of the heat). The stems can be sometimes rough, especially if eaten raw – if that’s the case, cut them off (if not, it’s not really necessary). As for cooking it, spinach can be sautéed in olive oil with a clove of garlic until the leaves become soft. You can also steam it for 3-5 minutes, or add it to stir fries or soups (a few minutes before taking the soup off the stove). Spinach loses a lot of volume when cooked, but given that it’s so low in calories, you can be generous with the portions. You still need to track it, of course. For those of you who are sensitive to oxalates, spinach might not be the best choice, as it contains a high amount of them. If you’re prone to having kidney stones, or have had kidney stones in the past, consider eating spinach occasionally and not making it a staple of your diet. 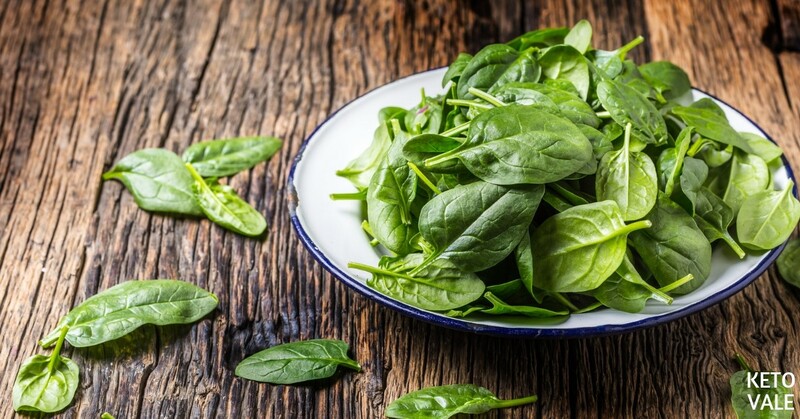 For people who use blood thinners, and especially warfarin, spinach might also have potential side effects, due to its high vitamin K content. If you’re taking warfarin, you should consult your doctor if you plan increasing your spinach intake and get his advice on monitoring vitamin K consumption and keep it within the same range. Because of its excellent micronutrient profile, spinach is one of the vegetables that are certainly worth adding to your diet food list (or having more of it, if you’re already eating it). It can be a very effective way to keep yourself full, and make sure you’re getting your micronutrients in. It will help you protect your eyes, cardiovascular and gut health, and it even has cancer-protective properties, according to numerous studies. 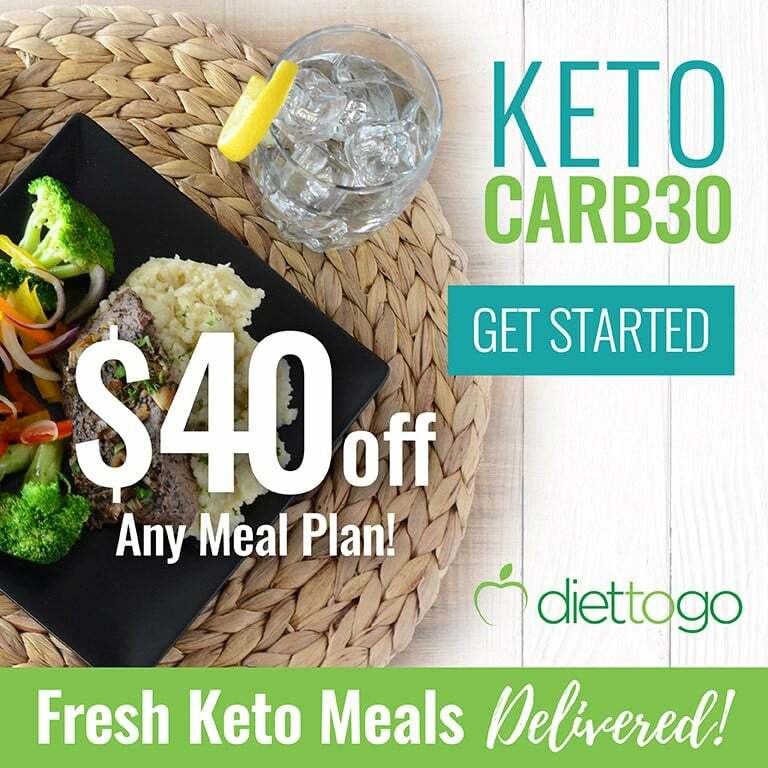 It’s particularly well-suited for low-carb diets, including keto – not only it is very low in net carbs, but it’s also high in magnesium and potassium, 2 of the electrolytes that are essential for the proper functioning on your body and that you should definitely keep in check if you’re following a diet that restricts carbs. What’s your favourite spinach recipe? Share it with us and our readers in the comments below!